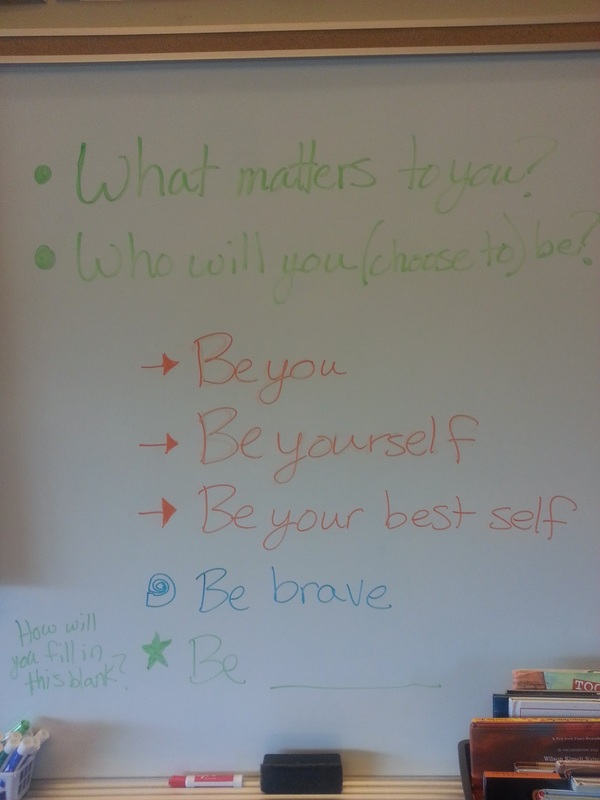 Heise Teaches & Writes (& Reads on another blog): Who Will You (Choose to) Be? If you follow any teacher pages on Pinterest, you've probably seen this bulletin board idea. I know I did. And I wanted to put it up in my classroom as a kind of mission statement for the school year. The idea behind it for me is helping my middle schoolers have a visual reminder every day of what they're working toward as a member of our classroom community. Kids who are reminded to Choose Kind after hearing Wonder read aloud last year. 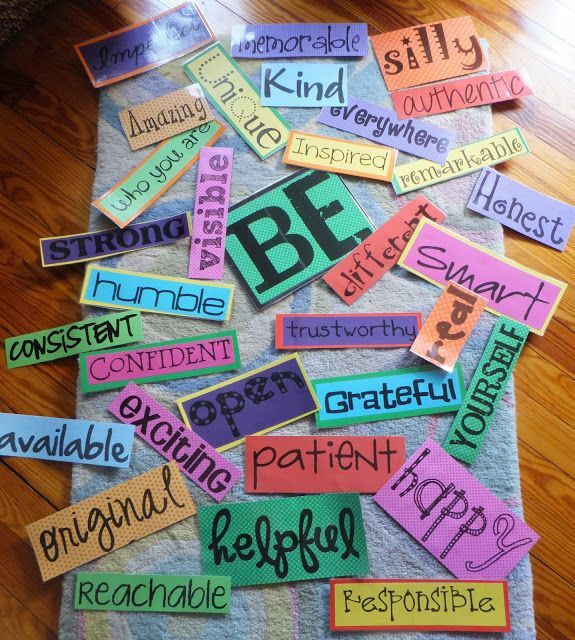 Kids who have the Core Values of the school they're expected to demonstrate. But here's the thing...I didn't want to just put up another bulletin board that they might just ignore, or only read when they're bored. I wanted it to be something meaningful to them. I wanted them to take ownership of the idea. I wanted them to live this statement this year. So why not have them create the words to fill the board? I started with this; my mission statement for the year (+ above Be, I added Snail's reminder from our first day of school read aloud on bravery and friendship, The Story of Fish and Snail) on our classroom "Identity" board reminding us of what makes us who we are. Then I introduced the idea. I showed them my train of thought for what I chose: Be you. Be yourself. Be your best self. 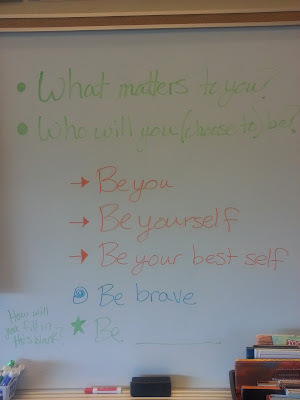 I gave them some thought-provoking prompt questions: What matters to you? Who will you (choose to) be? They had time provided to brainstorm a list of ideas. They were encouraged them to choose the one that really spoke to them. They showed me what they chose. They got a blank piece of paper to fill in the blank in whatever way they chose. 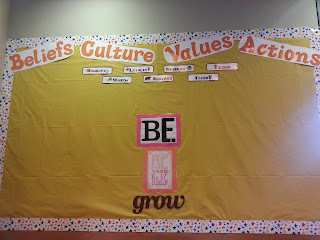 They created a board that is better than any pre-created one I could have had...because it is meaningful to them. 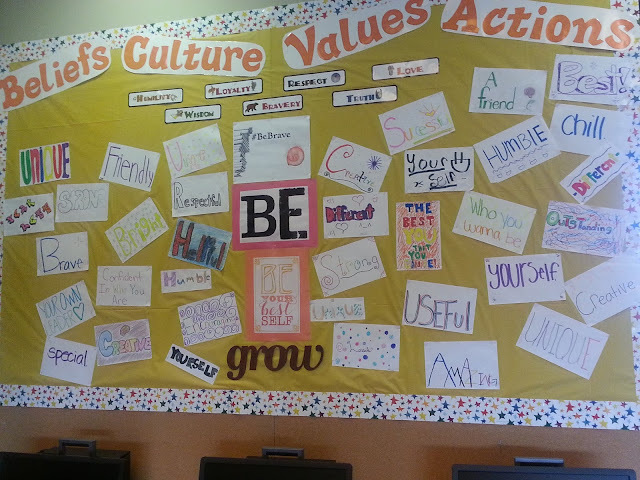 It is their ideas, and their classmates ideas, and their reminders of how/who they want to be this year. This is awesome! It reminds of the Jon Gordon task, to choose one word you want to focus on for the year. One thing you want to do better, so you ARE better. I chose balantize. I know....I made it up. Balance, and prioritize. 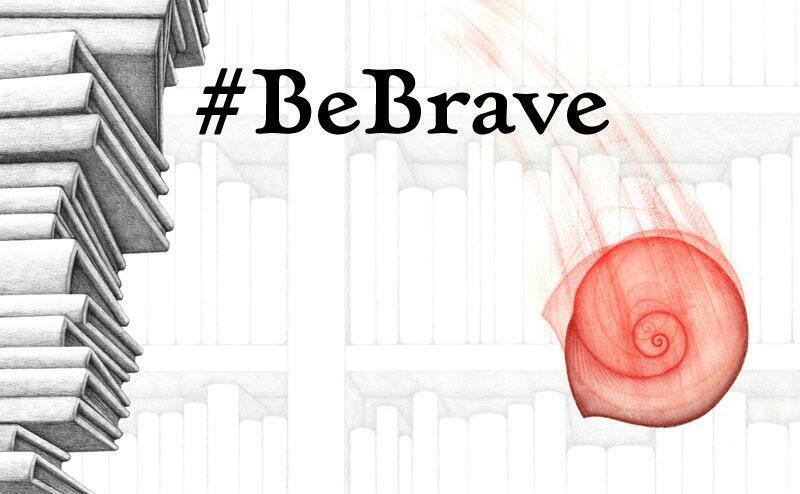 I love using the Be______ , with students this will work! Thanks for sharing.